We get it. Buying stuff online can be easy. We do it just like everyone else, because not everything is available locally and sometimes it’s just easier to have it show up at your door in a few days. But even if you’re ordering everything else online, printing services shouldn’t be one of them. Even if you find a “great deal” on your business cards, direct mail postcards, and flyer printing, there are a few reasons why you should go with a local printer instead of working with an online company. Let’s take a look at why stepping into a print shop is almost always the best idea. No matter what you’re ordering, you always have to wait on shipping. Sometimes it’s not a big deal; if you’re going to run out of cat food in a week, waiting three days for it to be shipped to you isn’t a problem. 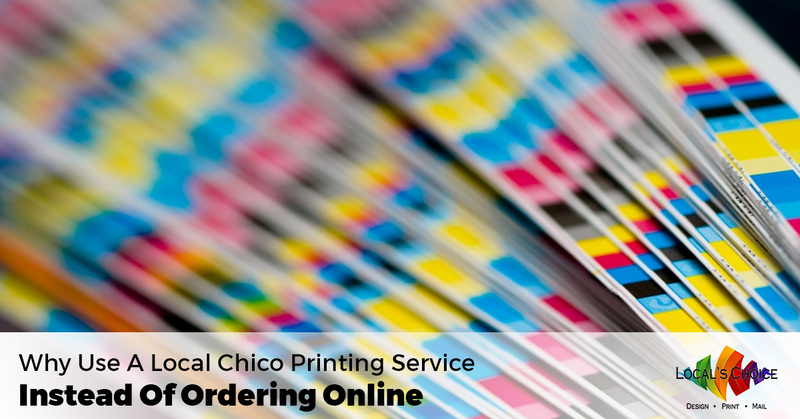 But if you’re looking for Chico printing services for your business, why wait on shipping at all? 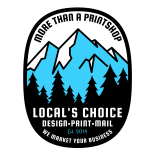 When you work with local printers like Local’s Choice Printing, you’ll be able to pick up your print project as soon as it’s done. No waiting days for free delivery, no paying $50 for overnight delivery. You will have it faster than overnight so that you can get your direct mail postcards in the mail or the flyers out to your customers. Of course, there’s also the issue of emergency printing services. We know how hard running a business can be, and sometimes things come up at the last second. If you need a print job done now and can’t wait on any type of shipping, you need a local print shop to get it done quick! The fact is, mistakes happen. We’ll even admit that we’ve made mistakes before, and the fact is that we fix them fast and we fix them free. When you work with a local shop, you can come in and take a look at the finished product as soon as it’s done. If you find a mistake when you bust open the box, we’ll set right to work to fix it. Now imagine if you order your printing service online. After waiting a few days for them to process it, and then another couple of days for shipping, what happens when you open the box and find a mistake? You have to go online and let them know, which might involve calling them but will more likely mean filling out their form that says “we’ll get back to you within 24 hours.” Once they get around to reprinting the corrections (if they own up to it, because why should they when you’re hundreds of miles away from them and can’t punch them through the phone? ), you’ve still got to wait on them to ship it to you again. Let’s hope there’s not another mistake on the second batch. We don’t want to get too sentimental here, but when you shop with us you’re keeping your business local. You’re supporting other citizens of Chico and helping a local business. Any taxes you pay will go to support our city, and any taxes we pay will be doing the same. Working with a local printer isn’t just a good idea for the local economy, of course. It’s just good for your business. 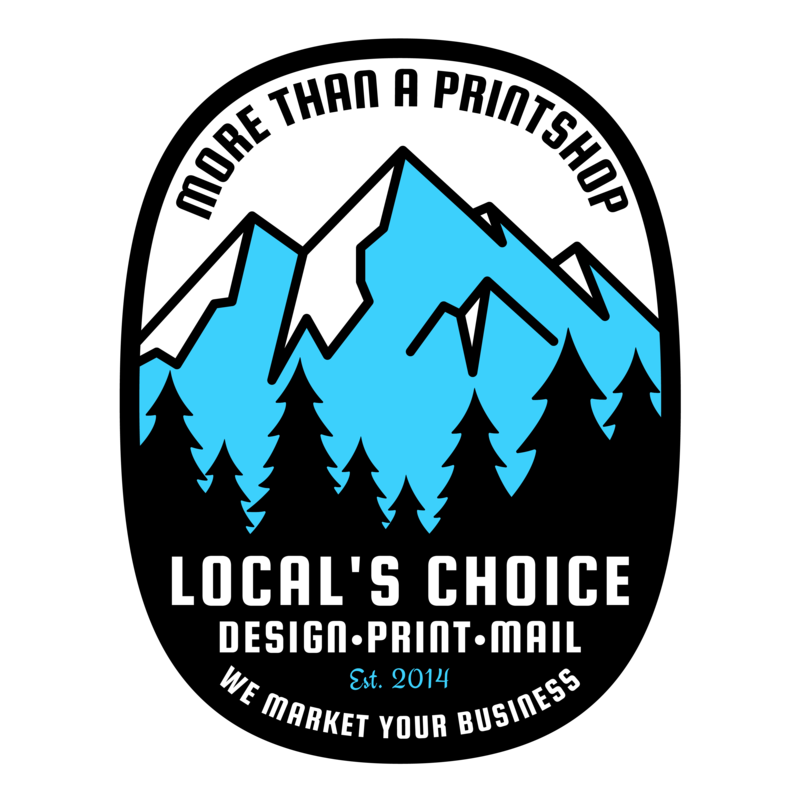 When you need a print shop to get things done right, fast, and for a great price, contact Local’s Choice Printing in Chico!